Security is important to most homeowners throughout the Brisbane region. Unfortunately, however, many security doors or grilles are unappealing and can even make your home look like a prison. Mass produced security installations often lack quality and attention to detail and are not as effective as they should be. Fortunately, there is a solution and this is a custom-made wrought iron security door. Wrought iron has a number of properties that make it perfect for use in security doors and these include excellent strength, durability, and design appeal. 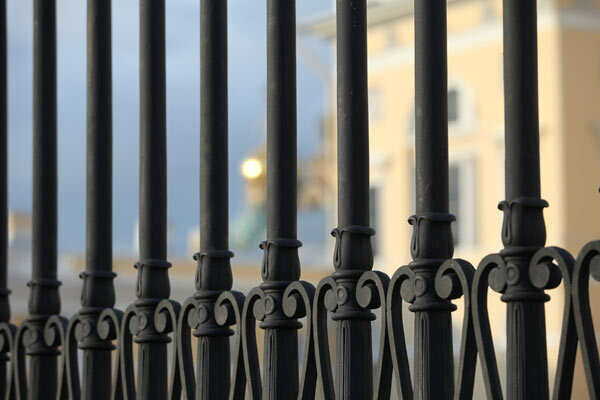 The strength of wrought iron means that any potential intruders will not be able to break in, as wrought iron has the capacity to withstand significant force and improve your safety as a result. 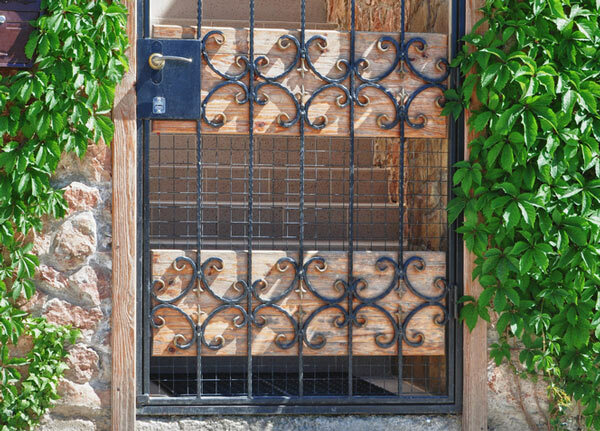 Rust can easily compromise the strength of a security door, but the durability of wrought iron ensures that it will resist rust and corrosion to remain strong for many years. Wrought iron offers a timeless elegance that will complement the design features of your home and its malleability allows it to be crafted in striking and unique designs that can vary according to your personal style. Here at Dean Wilson Iron, we specialise in wrought iron security doors and we customise all of our security products to perfectly suit the needs of our clients. Our team of expert blacksmiths have a wealth of knowledge and experience, which means that they are well positioned to make your perfect design concept a reality. We engage with all of our clients to assess their specific needs and handcraft a security door that is targeted at meeting all your requirements. Our priority is simple: to create unique security doors that combine stunning aesthetic appeal with unrivalled quality and functionality. Our services are centred entirely on you and your needs, as we see this as the only way to develop the most tailored and effective security solutions for you. We will take into consideration the design features of your home, as well as your personal style, to help guide you through the design process. We will explore your design concepts with you and make your vision a reality with our handcrafted wrought iron security doors. Here at Dean Wilson Iron, we believe that excellent security needn’t come at the expense of visual appeal. We understand also, that everyone’s needs are different and this is why we have developed a comprehensive range of services to account for the security needs of all homeowners throughout the Brisbane region. The timeless elegance and prestige of wrought iron means that it is well suited to all applications – whether it is security fittings on a classically design old home, or a more contemporary new home. Wrought iron offers unrivalled security through its strength and durability, and we have tailored our services to include wrought iron in our security doors, porticos, entryways, window grilles, bi-fold doors and even glass backed front doors. We also offer flyscreens with our security installations, so you can leave your door open on a hot summer day, without worrying about any uninvited guests. With a security door from Dean Wilson Iron, you get the strength and durability of wrought iron and the versatility to suit all openings throughout your home. The result of this is uncompromising security with visually appealing designs that will not stifle the ambience of your house. Because homes across Brisbane are so diverse we have developed a specific service process, throughout our many years in the industry, which takes each of our clients’ needs into account. We will work closely with you and explore all of your options to make your perfect design a reality. We pride ourselves on creating the most personalised and unique security doors in Brisbane and we see client engagement as the most important aspect of good service. The first stage of our service process involves an enquiry, followed by a brief consultation. During your consultation, we will discuss the type of security door you need, before going over a few details concerning the purpose of your security door and where you would like it to be positioned. Once we have established a clear idea of what is needed to meet your needs, we can provide you with an approximate initial quote. To provide you with this quote all we need is some basic measurements, to give us an idea of the size of your security door, and some indication of your ideal design. Once we have consulted you and fully explored your options, we can refine our design to meet your needs. To do this, we will need to measure the site in which your security door will be installed; this gives us a precise idea of the materials and work needed to create the perfect security solution for you. These measurements will also allow us to finalise your design and you can select a design that you think will reflect your own style and complement the design features of your home. After you have selected your perfect design, our skilled blacksmiths can begin to manufacture your security door. Our team has a wealth of experience and expertise when it comes to working with wrought iron and they are well equipped to bring your design concept to life, with the upmost in quality and workmanship. We strive to keep you engaged during construction and to ensure that we are on the right track, we will keep you updated with progress photos of your security door at various stages of completion. We welcome your input and we can even facilitate an inspection in person, if that is convenient for you. Our wrought iron experts are skilled in not only crafting wrought iron security solutions, but also in installing them. We have all the knowledge and equipment necessary to install your wrought iron security door in a manner that will guarantee uncompromising strength and quality, whilst maintaining the immaculate finish of your wrought iron product. We understand that security doors need to be installed to the highest possible standard of quality and all of our experts undertake each installation with the upmost regard for the security of your home. You can rest assured that a security door from Dean Wilson Iron will offer you and your home the best security in Brisbane. If you are looking for a security solution that will not compromise the welcoming and visually appealing ambience of your home, then contact us today. Our experts will happily guide you through the process and address any queries that you may have. You can also find us on Facebook, where we post a number of photos of our work across the Brisbane region and will happily answer any of your questions. #1 Are you doors secure? 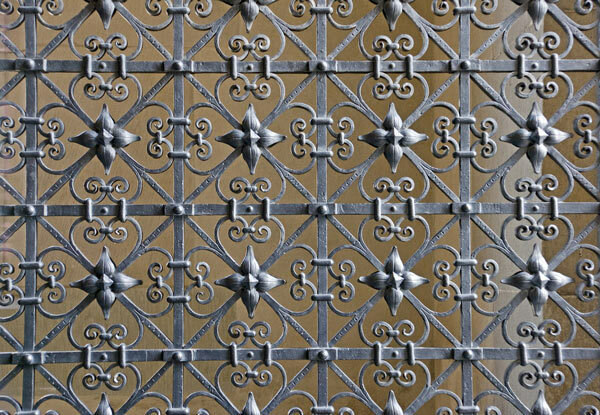 Every security door made by Dean Wilson Iron is handcrafted using solid wrought iron. 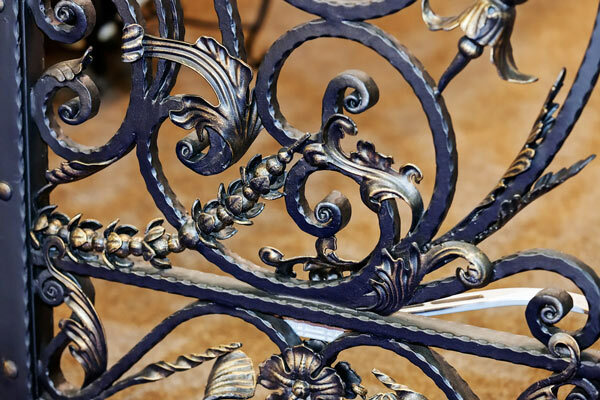 Wrought iron is renowned for its uncompromising strength, and its ability to withstand incredible force and impact. This makes it a superior material from which to manufacture security doors and you can rest assured that our security doors are made to the highest possible standard, meaning that you are getting the best security solution in Brisbane. #2 Can I have flyscreen or Crimsafe mesh installed? Our team offer comprehensive range of installation options and these include Crimsafe mesh and fibreglass flyscreen. We have found these to be far more durable than standard nylon flyscreen and they will complement the security of your door without affecting its appearance. These screens are an optional extra and we can assure you that the security of a wrought iron door is second to none – with or without the added flyscreen. #3 I want effective security without feeling like I am in prison. Can you help? Here at Dean Wilson Iron, we recognise that many mass-produced security solutions can have a negative impact on the ambience and appearance of your home. This is why we specialise in creating customised wrought iron security doors and grilles that satisfy both your need for effective security and your need for a visually appealing and welcoming home. #4 How long will my wrought iron security door last? Wrought iron is known for its durability and every security door crafted at Dean Wilson Iron is finished in a manner that effectively safeguards against rust and corrosion. This means that your wrought iron security door will remain immaculate, in both appearance and strength, for decades to come.